Hoy me apetece enseñaros la espectacular campaña de Gucci para este O/I 2011-2012. Protagonizada por Abbey Lee Kershaw y Joan Small y realizada por Mert Alas y Marcus Piggott la campaña representa a la perfección el lujo, marca de la casa. El tratamiento estético y la iluminación consiguen crear una elegante atmósfera invernal. 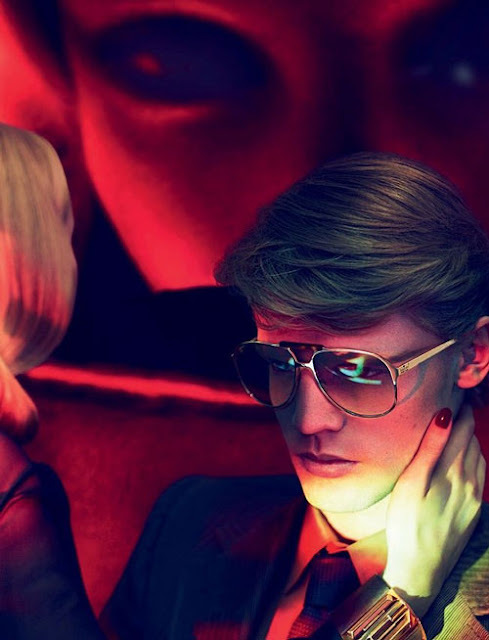 Today I fancy to show you the spectacular campaign of Gucci for this F/W 2011-2012. Starred by Abbey Lee Kershaw and Joan Small and photographed by Mert Alas and Marcus Piggott the campaign perfectly depicts luxury, one of the “creeds” of the fashion brand. The aesthetic and the light of the photographs create an elegant winter atmosphere. I have been a Gucci fan since I was 6 years old! I am always impressed with their collection every season and I love what you showed us today. It is gorgeous!